Try to remember the last time you cleaned your home or apartment. Did you quickly dust, mop and vacuum? Or did you scrub and sanitize your shower and tub, wash your windows, dust the floorboards and crown molding and scrub your toilet inside and out? In either case, we applaud your efforts—a clean home is a happy home! If you find that your cleaning routine has fallen by the wayside or you are no longer cleaning as thoroughly as you would like, the team at UMG Cleaning is here to help! Our happy clients applaud us for excellent customer service, great attention to detail and the thoroughness of each job we take on. 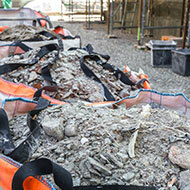 We promise we will never leave your home until you are completely satisfied with our work. Whether you are looking for a fast, topical cleaning or a deep, in-depth cleaning, there is no residential cleaning job that is too big or too small for the team at UMG Cleaning. To schedule a free estimate or learn more about our expert green clean services, get in contact with us today! Moving is stressful, and when you pack up your last box and are ready breathe a sigh of relief, you suddenly remember that you need to clean the property you are moving out of as well as clean the home you are moving into—panic ensues! At UMG Cleaning, we understand that you have a lot on your plate during a move. From packing to finalizing last-minute plans and everything else on your to-do list, you may find yourself feeling overwhelmed. When you hire our professional team of green cleaners to take care of your move-in and move-out cleaning needs, you can relieve yourself of the stress associated with such a tedious, last-minute task. Focus your energy on completing a successful move and leave the cleaning to us! You will be pleased when you move into your newly cleaned home and it doesn’t smell of harsh chemicals because we use amazing, eco-friendly cleaning products! Maintaining a clean office or workplace means more than just stacking paper and organizing miscellaneous files. While, on the surface, neatly piled paperwork may make it seem like an office is tidy, but it is the smaller, less noticeable things that truly define whether a workspace is clean or not. 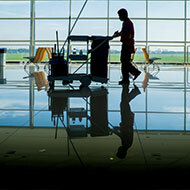 Dust, fingerprints, germs on keyboards and other machinery are all overlooked during a topical cleaning. At UMG Cleaning, we make sure to clean every single part of your office—even the parts you may never notice! 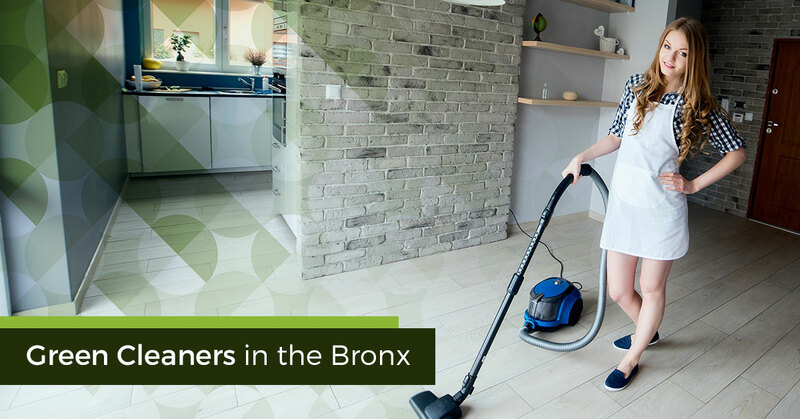 Our commercial cleaning services in the Bronx include sweeping, dusting, mopping, vacuuming, decluttering, sink scrubbing, window cleaning, toilet cleaning, wall washing, electronic disinfecting, general sanitation, floor maintenance and more! After the days, weeks or months you spend completing a construction project, the last thing you want to even think about is the cleanup. At UMG Cleaning, we offer an extensive array of post-construction cleanup services including debris removal, wall washing, floor sweeping, high-dust cleaning, window washing, blind cleaning and more. Our team will take care of all your green cleaning post-construction needs, giving you the opportunity to finish your professional jobs without having to stress about the accompanying cleanup. If you have any questions about our post-construction cleaning services, get in contact with us today! As a school official, you have a duty to protect the health and safety of your students and staff. Whether you oversee a preschool, university or high school, we offer our school cleaning services to any and all campuses in the Bronx and surrounding areas. Not only do we use green, environmentally-friendly cleaning products to complete our jobs, we also make sure that no bit of gum or piece of wadded up notebook paper goes overlooked. When it comes to school cleaning, it is extremely important to use green cleaning products that won’t irritate or affect the health of your students and staff. Chemical-based cleaning products can affect people in different ways—some may feel nothing at all while others may experience burning eyes or trouble breathing; as we know, though, when it comes to a school campus, the health of every single student must be considered. 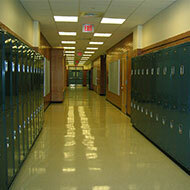 Learn more about our school cleaning services in the Bronx, today.